Serious injuries do happen, and sometimes they are caused by negligence on someone else’s part. This is where a personal injury attorney serving Pembroke Pines can help you obtain the compensation you so desperately deserve. Florida law protects victims of personal injury against wrongful and negligent behavior, keeping injury victims from suffering from lost wages and injuries sustained. You deserve to have your case looked at by a professional who knows these laws and can help you get back on your feet after such an event. Negligent behavior is a violation of the law and can come in a variety of forms. Medical negligence is a large one, holding doctors and surgeons liable for misdiagnoses or any negligence during an operation. Slips and falls are also a cause to obtain a personal injury attorney, particularly when the injuries occur in a commercial setting as stores and restaurants are required to keep walkways and areas clean and safe for all customers. Nursing home injuries are also common, as loved ones are mistreated or not taken care of to the standard of care expected. The most common personal injury cases, however, are car accidents. In these cases, the negligent driver’s auto insurance company will often try to place blame on you so they will not have to pay for your medical bills. Personal injury attorneys fight on your behalf to make sure that does not happen. Choosing an accident attorney in Pembroke Pines gives you the advantage of having a lawyer who knows the local laws and is familiar and experienced with helping residents with these types of issues. INJURED? 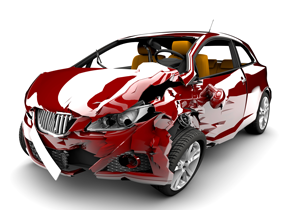 A Pembroke Pines Personal Injury and Car Accident Lawyer Can Help! While all of these may not be completely avoidable, you can typically obtain compensation for your injuries, lost wages, and the pain and suffering you endured throughout the process, as well as future injury that stems from the original injury. Most lawyers work via contingency, so payment to your attorney will not be necessary until your money is successfully recovered. Pembroke Pines is served by the second largest jurisdiction in Florida, the 17th Judicial Circuit. They serve over 1.5 million residents and have 77 full time judges available, meaning if your case goes to court, Pembroke Pines is the perfect place for it to happen because juries from this area lean towards compensating the injured. It is a very resident oriented city, and the rules and laws reflect this.